When the weather starts warming up and you hear the words “spring cleaning” do you think of a clean house and getting rid of junk? 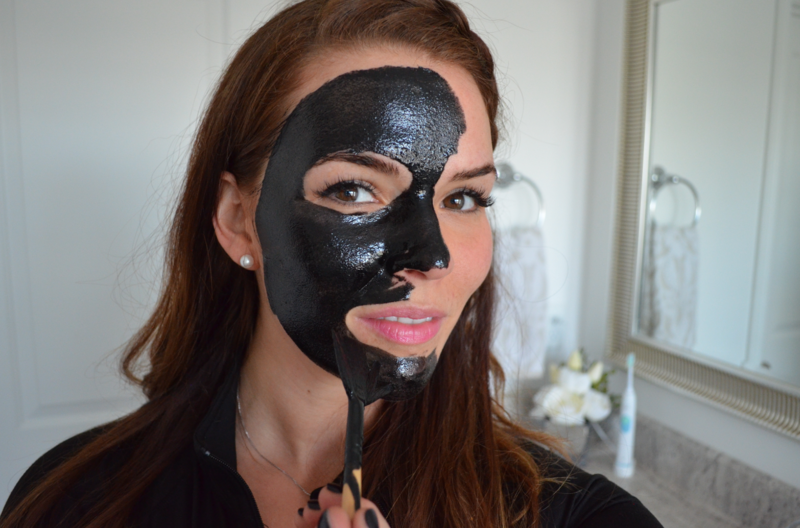 Sure, I think of typical spring cleaning, but I also think of this… Hello, charcoal mask! Honestly, the Master Esthetician inside of me craves a good deep clean on my pores and I’m obsessed with the benefits of charcoal. Picture this, me mall-walker walking (when I’m kid-free I don’t mosey) through Walmart from the pharmacy section with my charcoal tablets in hand, and I remember I need to buy a new toothbrush. I stop in the toothbrush aisle and see the usuals, but lately I’ve been struggling with plaque and basic toothbrushes aren’t cutting it. 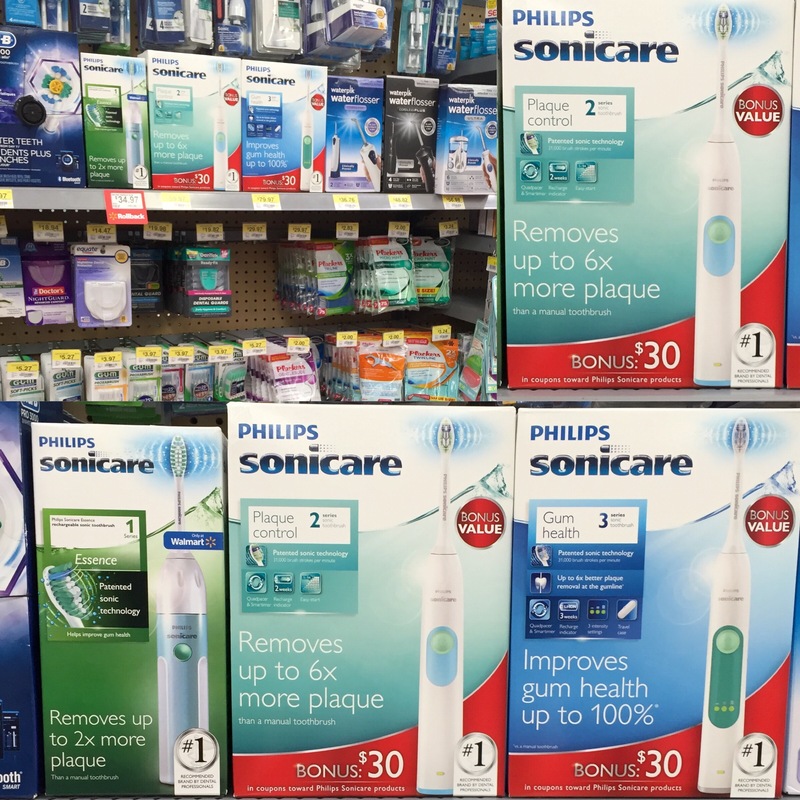 I had used a Sonicare toothbrush in the past and loved it, so upgrading to one of the Philips Sonicare 2 Series Plaque Control toothbrushes was easy. Besides, it would be the perfect multi-task while I got my charcoal mask on. As far as skin goes, charcoal masks are where it’s at! Did you know, activated charcoal is great for all skin types, but especially oily/acne-prone skin? Charcoal is a great chemical-free alternative to treating and healing acne, it acts like a magnet for pulling dirt and oil from your pores and it can help your pores appear smaller. Now, who else could always use a little more of that in their life!? All of your hands should be up! Just follow the instructions, make the mask and during those five minutes it needs to sit on your face, pull out your Sonicare and get your smile ready for spring time and warmer weather. This bad boy removes up to 6X more plaque than a manual toothbrush and it’s definitely a superior clean that you can feel after the first use. Start by emptying the contents of three charcoal capsules into a small glass dish. 2. Add the coconut oil, vitamin E oil and which hazel to the charcoal powder. 3. Add three to six drops of lavender oil and mix well. 4. The mask will be ready to use when the ingredients are mixed fully. Make sure to use a dark colored face towel with this mask, because it is pretty messy, you don’t want to ruin your good towels. 5. Apply the mask to clean skin using a fan brush. Apply all over, there’s no right or wrong way… It helps to wear black, just don’t drip any onto your white cabinets. 6. Multi-task and brush your teeth with your Philips Sonicare 2 Series Plaque Control toothbrush. I like that the beeper feature helps you brush each area the same amount of time. Just remember friends, good hygiene is literally the gift that keeps on giving, especially oral hygiene. Gum, mints and lozenges can only get you so far, to be effective in this department you have to have quality tools that will get the job done right. This bad boy removes up to 6X more plaque than a manual toothbrush and it’s definitely a superior clean that I could feel after the first use. 7. Using a black towel with warm water, remove the mask. This will take a few passes, so use one side of your towel first, and repeat using the other side. 8. The finished result is glowing skin and pearly whites. Make sure to check out the different Sonicare products the next time you’re at Walmart, so you and I can both have brighter smiles this spring! What is on your list for beauty-related spring cleaning?